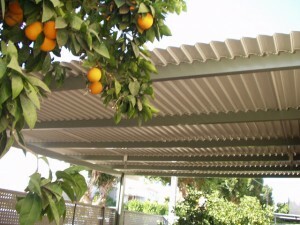 You can now have a SOLARA adjustable patio cover at the price of a good lattice cover. 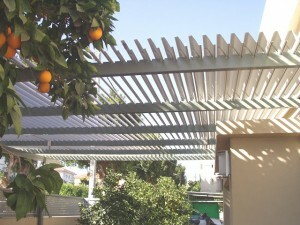 This offers the advantage of as much shade as you want by adjusting the louvers. 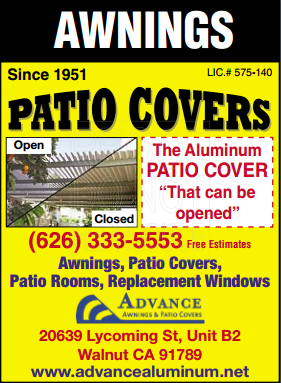 Under SERVICES on the right – click on ADJUSTABLE PATIO COVERS – then view the videos on SOLARA. 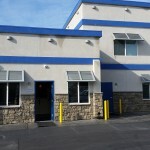 Advance introduces a new designer awning- the AWNAIR. 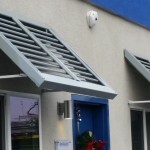 This framed awning with OPEN or CLOSED louvers gives a new look to an aluminum awning. 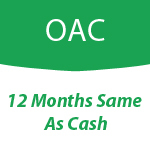 It offers a handsome, long lasting and cooler product. Available in a large array of colors and combinations of colors.